虽然我的心脏属于新泽西州与迪​​斯科薯条和泰勒火腿, 我出生在哥伦比亚. 这意味着，我是幸运的少数谁真正知道哥伦比亚的食物之一. 在美国哥伦比亚食品的问题是，大多数餐馆都服务于同样的食物并在哥伦比亚食物的多样性刚好触及. 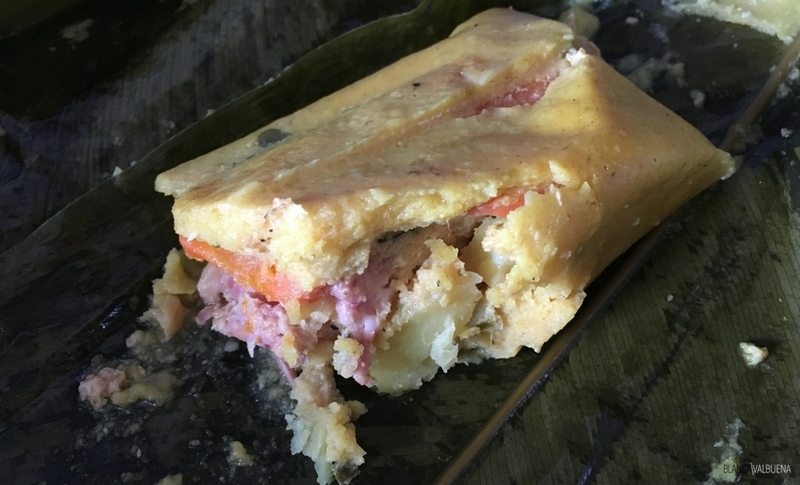 哥伦比亚食品不只是Bandejas Paisas. 还有更多的事情在哥伦比亚吃的比. 是什么让哥伦比亚的食品这么好是它的影响力. 它是欧洲的混合, 土著, 中东, 和非洲风味. 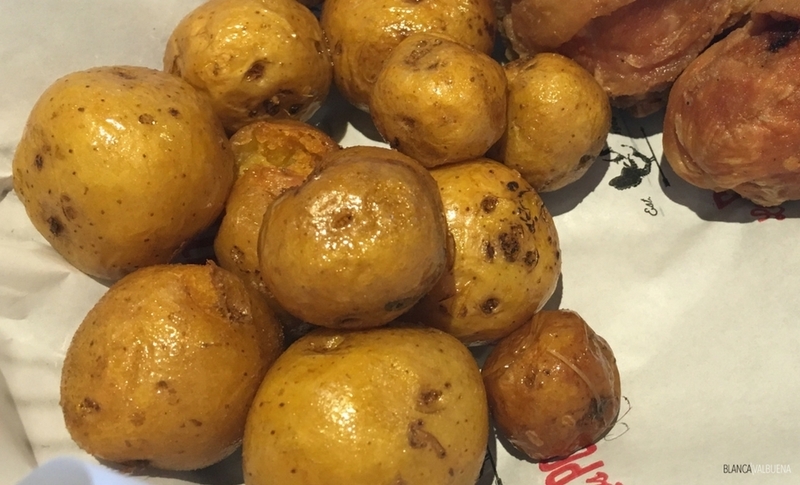 While most typical dishes (keep in mind this is poor, 谦卑, highly caloric food meant to keep workers going through a long and arduous work day) include a protein (pork, 牛肉, or chicken) potatoes, 豆, 和大米. 你的主餐通常午餐, 这取决于你住在什么区域至中午吃过至下午四时. 这顿饭由汤, a seco (main course), and dulce (dessert). 晚餐较小, 通常有更晚, 周围 8 点, 让父母可以享受时间与他们的孩子. 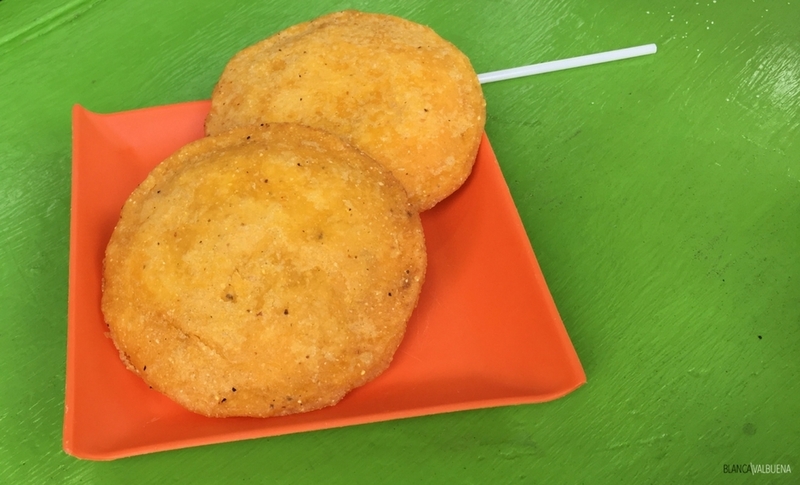 每吃哥伦比亚arepas. 虽然他们可能不会吃同一类型arepas的, believe you me…they are eating it in one form or another. 一个是AREPA肉饼一个玉米面制成的熟烤架. 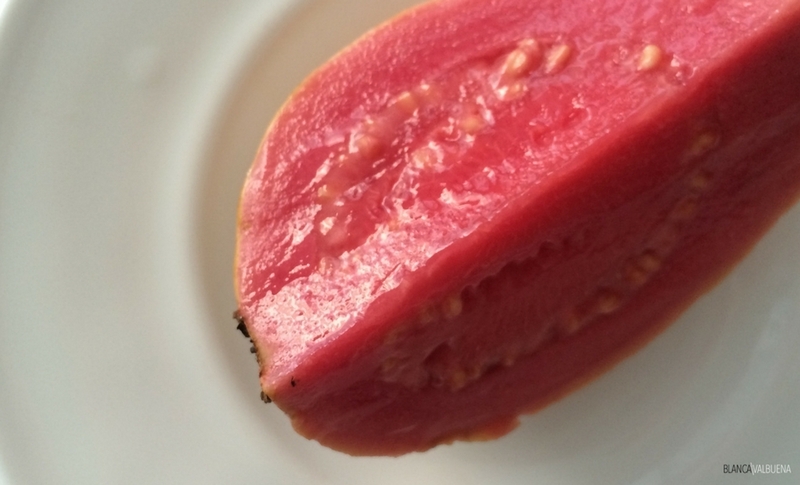 They can be eaten alone (with butter) or served along with other dishes (like you would serve bread). 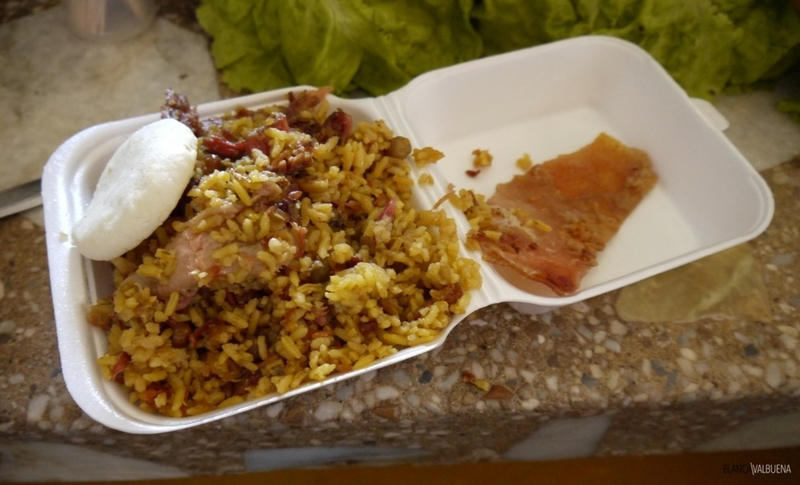 If you go to the Coast (卡塔赫纳), 你可以享受我最喜爱的AREPA. 该 鸡蛋AREPA. 这些销售在大街上，并油炸第一次与地面牛肉. 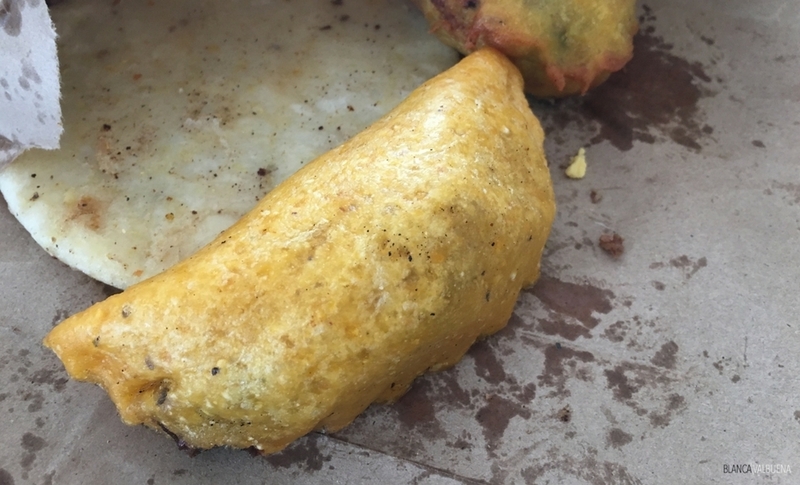 It is then taken out of the fryer and an egg (or two) are put inside and deep fried again. 健康, 没那么多. Delicious – absolutely! 她的第二个最喜欢的是 AREPA奶酪. 为了使这些, 你混在 quesillo 成面团. 当你咬入他们，你得到美味的奶酪糊糊作为一个特别的惊喜. 如果你想变甜了一点东西, 尝试一下 AREPA德Choclo. 这些都使得甜玉米, 通常做成的奶酪三明治. 不是我的那杯茶, 但人们喜欢这些. 你可能会拥有最常见的AREPA是 AREPAAntioqueña. 这些看起来像冰球小小的arepas. They are served as a side with dishes such as a Bandeja Paisa (you will read about that one later). 这是平淡, 恕我直言的热量浪费, 但不要告诉哥伦比亚人说. 说到内疚的AREPA是战斗的好理由. 汤遍布哥伦比亚颇为流行. 即使在温度达到热带地区 100 度, 人们会吃汤. 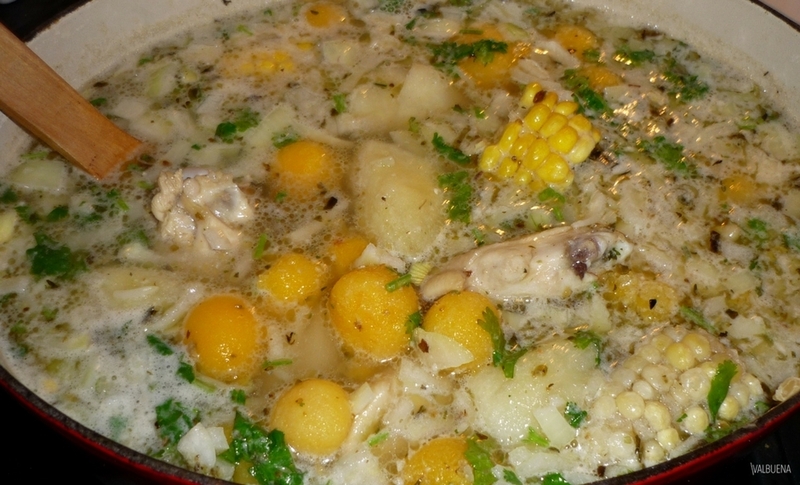 This soup comes from the Cundinamarca area (where Bogota is located). 它是由鸡, 多种类型的土豆, 玉米, 和鳄梨. 在ajiaco最重要的成分是guascas. 没有guascas, 这个汤是不是ajiaco. 在美国，它被称为一个英勇的战士. 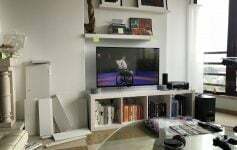 虽然这汤是安第斯地区, 它已经站稳了脚跟全国各地, 所以你可能能够在任何地方品尝它. 这是一个伟大的解酒治愈. 虽然这个菜从麦德林地区起源, 它已成为哥伦比亚的国菜. 如果你去过哥伦比亚餐厅在另一个国家, 你可能已经看到了这个菜单上. 一个字的警告, 这是一个丰盛的菜, 所以一定要确保面对这个菜时，你不要吃东西。. Bandeja means “platter” and the Paisa Platter is made up of either steak or powdered steak (ground beef that is so fine it feels like a powder), chicharron (pork cracklins), 白米, morcilla (blood sausage), 甜炒蕉, 鳄梨, 一个AREPA, 和一个煎鸡蛋. 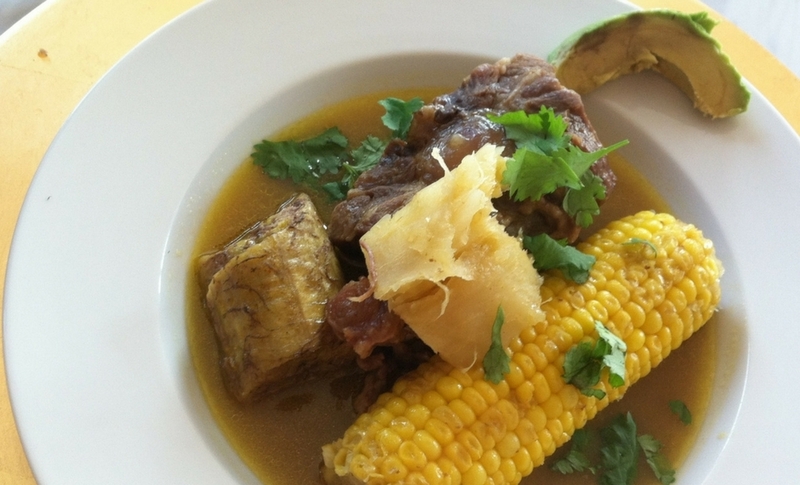 You cannot…I repeat you CANNOT go to Colombia and not taste this delicious dish. Lechona是托利马地区特有的食物, 但可以在整个哥伦比亚发现. 这烤小猪的善良被塞满了大米, 豌豆, 洋葱和香料. 一个lechona的最好的部分是采取咬掉脆皮. Yum! 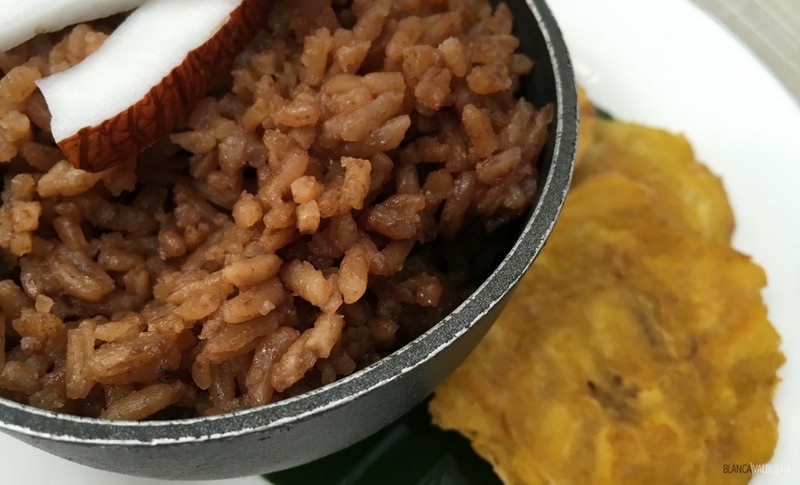 Colombians make two types of coconut rice; a white and a dark version. 白色版本有点类似于泰国椰子饭, 但你必须尝试的一个是黑暗版. 它的甜，咸，不知它是非常适合油炸鱼. 我提到汤在哥伦比亚是大. 这可能是哥伦比亚最知名的汤. 还有它的所有版本整个南美洲, 中美洲和加勒比地区. 哥伦比亚sancochos每个地区而异. They are usually made with a protein (chicken, 肉, or pork), 始终与土豆, 吃的, 和大蕉. 一个适当的sancocho供应与一个煎鸡蛋和香菜的一侧配菜汤淋上白米饭. 该Fritanga是所有关于油炸食品. 这一种手段鸡, 排骨和牛肉, papa criolla (creole potatoes), with Chunchullos (fried cow intestines) and comes with a spicy 魅力 或石灰倒在顶部. 哥伦比亚馅饼是一个伟大的去到零食. 这些都是他们的饺子版本. They are fried and are usually filled with beef and potato (although other fillings can also be found). 我恨这个菜. 布兰卡爱它. 它是从安第斯山脉地区的另一道菜. 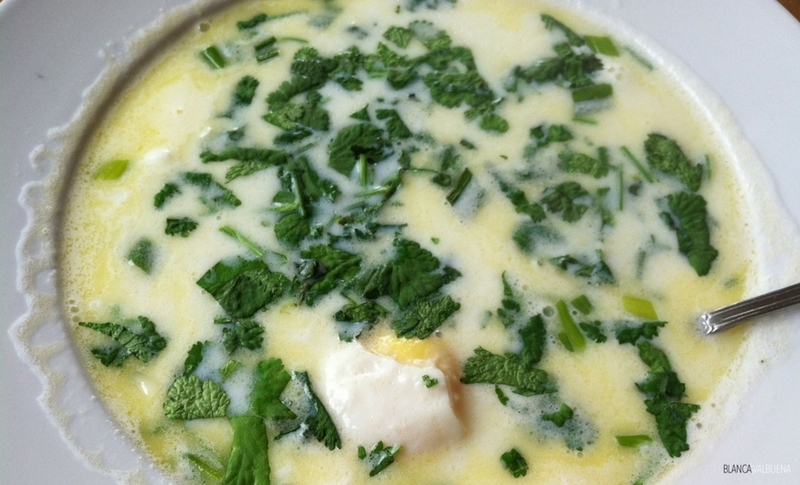 Changua是做成豆浆早餐汤, 水, 蛋, cheese and scallions (and stale toast). 我差点忘了, 这其中还配上香菜. 奶酪融化在底部，如果你是乳糖不耐症, 这可以把你出去计数. 每个国家都有一个菜，只是似乎不可思议的地狱到世界其他地区. 哥伦比亚人享受自己的大屁股蚂蚁. 对. 蚂蚁. 他们烤他们, 他们盐和烤他们. 它们的味道有点像花生酱. 各国万吨玉米粉蒸肉做. Colombia’s are great and (as I am sure you’ve noticed with most of the dishes mentioned here) they vary by region. 一个塔玛尔基本上是已经充满了肉类和蔬菜的面团. 它可以是猪肉, 鸡, 牛肉或全部三个. 有时，他们有一个煮鸡蛋. 他们通常有豌豆, 萝卜, 和土豆内部. 它们被包裹在香蕉叶煮当他们准备吃. 我最喜欢的是Tolimenses, 但我强烈建议你尝试一些来自各个地区检查出自己的差异. 这些使得一个真棒早餐. 哥伦比亚是一个非常多元化的国家, 和最好的事情之一吃的就有果. 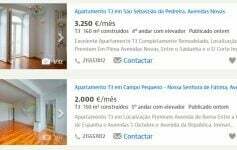 当你去, 一定要试试granadillas, mamoncillos, maracuya, 寺院, curuba, lulo, 和火龙果. 如果你想使水果冒险更多的乐趣, 然后抓住一个果汁. 遍布哥伦比亚有鲜榨果汁看台. 你会爱上. Hola. I Love Colombia. But colombian’s food is perhaps the worst on the continent? 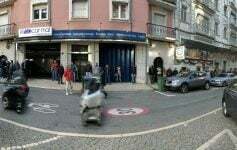 One the world? Quizas. Colombian people think they have the world best food, but they do not ask themselves why there are no colombian restaurant all around the globe or why we never hear “I’m so angry, I’m gonna eat colombian”. The food is so gross. Chicken are from US and obviously fulled with OGM, antibiotics. I don’t know if they know what fresh meat here. They eat fish from China, even in Cali, city near to the cost. Their bread is awfull. I believe they put sugar inside. Basically there is sugar everywhere, even in the salad or the pizza (hawaiana). Their ham is made from flour and a mix of meats. Their cheese is disgusting. They eat arepas, which basically is air solid. 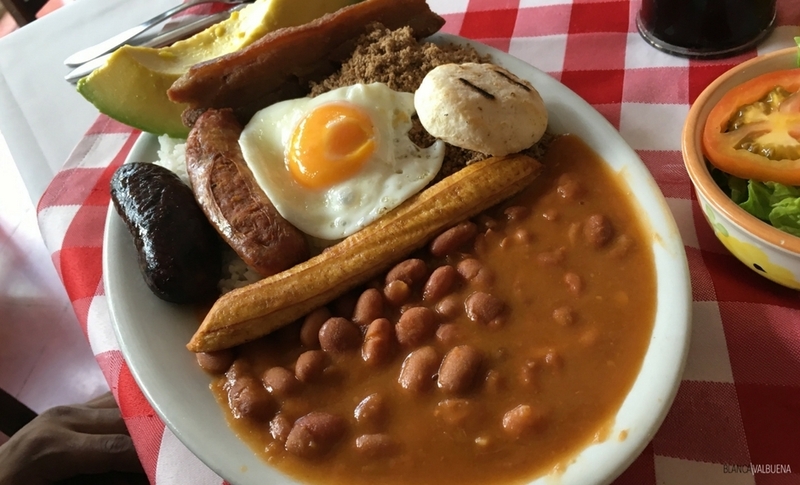 Their national plate is the Bandeja Paisa: fried eggs, fried meat, fried pork thing, frijoles, rices…. 在哥伦比亚, you eat because you gotta eat. But don’t expect colombian food to be peruvian or mexican food. Lol…Antonio feels the same overall. I felt the same when I was in Cali. It seems all the chickens come from the same supplier…and Hawaiian pizza is a travesty. The key is to get out of the main cities and explore. I found amazing food on the coast, there it was a lot of seafood with both African and Middle Eastern influences. I hated the supermarkets in Colombia, you can get much better food in the markets (if you can get over the eww factor at how it is presented and stored).